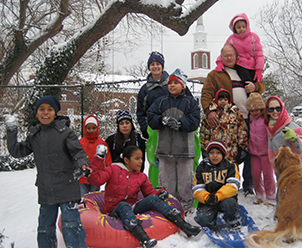 Casa Chirilagua began in 2007, when three young women moved into the heart of the Chirilagua (also known as Arlandria) neighborhood of Alexandria, Virginia with the goal of listening to the stories and wisdom of their Latino neighbors. After two years of life in the neighborhood, Julia, Emily, and Dawnielle decided to respond to neighbors’ concerns about their kids’ academic progress by opening a reading club in their own apartment. This seedling form of Kids Club grew for two more years before the three ladies established Casa Chirilagua as an independent 501(c)(3) non-profit. Now, Casa Chirilagua is a community of parent committee officers, staff members, board members, church partners, children and their families, and many weekly volunteers working together to see the Kingdom of God established in the neighborhood surrounding that little apartment. 2007: Three young women relocate to a Presidential Greens apartment in the center of Chirilagua with the sole desire to relationally love their neighbors as themselves. 2011: Casa Chirilagua launches as an official 501(c)(3) non-profit. 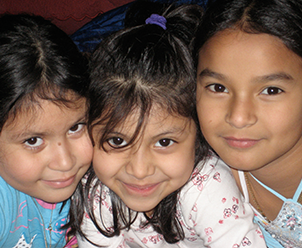 2013: Casa Chirilagua celebrates five years of Kids Club with 40 students and fulfills 4 goals from its five year vision. 2014: Casa Chirilagua creates a community led and community informed 3 year strategic direction to develop community leaders. 2015: The Local Leaders pilot program successfully completes its first year of operation. 2016: The mentoring program becomes a certified Quality Based Mentoring program. Casa Chirilagua works toward opening a community center in the heart of the neighborhood.